Left Front leader Sergei Udaltsov, whom investigators suspect of plotting mass riots across Russia, rallied supporters Thursday as a Moscow court authorized his aide's arrest. "We must struggle to free Lebedev," Udaltsov told Interfax, referring to his assistant Konstantin Lebedev, whom investigators formally charged earlier in the day with preparing to organize mass riots. Lebedev, who denies guilt, faces up to a decade in prison if convicted. Following the Basmanny District Court's ruling, investigators can keep Lebedev behind bars until Dec. 16, by which time they must decide whether to press for a full conviction. Late Thursday, the judge ruled that Lebedev was a flight risk and could destroy evidence and put pressure on witnesses, the Rapsi legal news agency said. Lebedev has 10 days to appeal the verdict. Investigators have not arrested Udaltsov, but he said investigators had kept him under surveillance since he was released from questioning Wednesday evening. Speaking outside the courthouse, Udaltsov described the charges against Lebedev as “a banal trick to put pressure on Kostya,” using a diminutive form of the Russian first name Konstantin, Interfax reported. “We are expecting everyone on Saturday at noon on Trubnaya Ploshchad,” he said, referring to an upcoming opposition rally sanctioned by Moscow authorities. 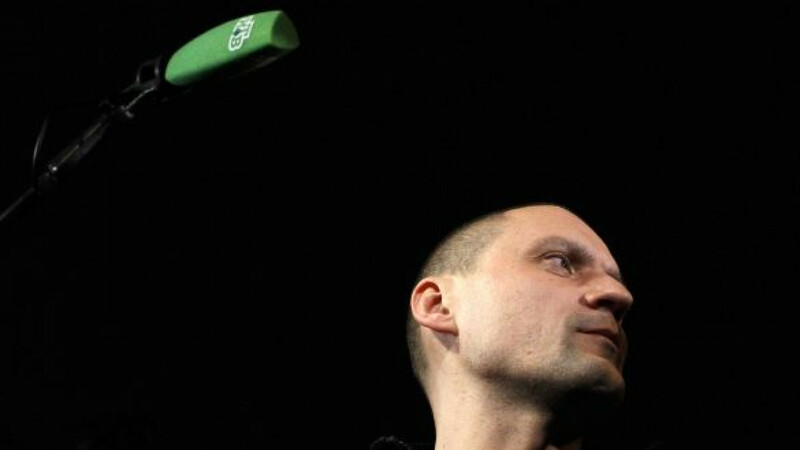 The opposition had scheduled elections to its Coordination Council for that rally, but after investigators' pressure on Udaltsov and his associates, protest leaders came out with plans to delay the elections. "We originally planned to dedicate [the rally] to the elections," Boris Nemtsov, formerly a deputy prime minister and now an opposition leader, wrote on Facebook. "But now the main thing is stopping repression. And the slogan 'Hands off Udaltsov and his comrades!' is most important." At Thursday's court hearing, investigators argued that Udaltsov, Lebedev and Leonid Razvozzhayev, an aide to Just Russia lawmaker Ilya Ponomaryov, had laid detailed plans for disturbances from Moscow to Vladivostok involving pogroms, arson, firearms and explosives. To carry out their aims, the three activists hoped to attract 20 million rubles ($651,000) in financing and gather about 35,000 supporters, investigators said, adding that the suspects wanted to seize power first in Kaliningrad before working their way east. As evidence for their claims, investigators cited hidden-camera footage obtained by NTV reporters and included in the Oct. 5 broadcast of "Anatomy of a Protest 2," the latest mudslinging film by the state-run channel known for attacking Kremlin foes. Shortly before the judge sided with investigators, police hauled away a pair of activists protesting outside the courthouse in support of Lebedev, according to detentions-monitoring site OVD Info. Gennady Seleznyov, a former State Duma speaker and senior figure in the Communist Party, told The Moscow Times that powerful figures in the Kremlin could use the case against Udaltsov and his associates to weaken Communist boss Gennady Zyuganov. Some observers have touted Udaltsov as the next leader of the Communist Party, and the Left Front leader backed Zyuganov's bid for the presidency earlier this year. 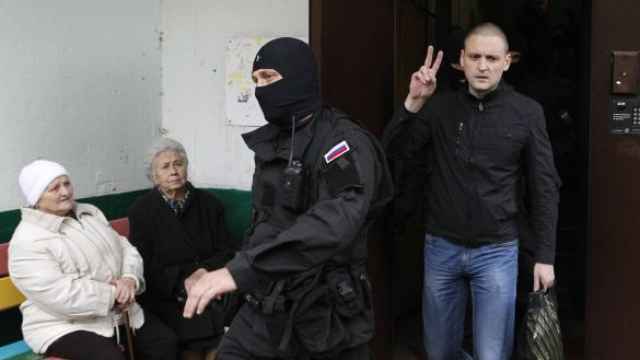 “[The authorities] want to show that Udaltsov is the leader of the new left," he said. Seleznyov, who knows Udaltsov personally, described him as a "narrow-minded person" who can be easily manipulated.